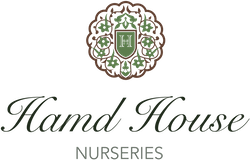 At Hamd House all of our staff are extremely passionate and enthusiastic. Children are nurtured and developed to help them reach their full potential. Amongst our staff are many BA honours Early Years Graduates, Foundation Stage Degree holders, as well as staff who hold NVQ Level 3 Qualifications in Early Years. All staff in Hamd House possess the qualifications and/or experience to work with children between 2 and 5 years of age. All staff have enhanced Disclosure & Barring Service (DBS) checks and receive regular training in safeguarding and child protection issues. Our staff work as a team and each pupil is assigned to one key person who has overall responsibility for your child’s care, known as the key worker. All of our senior staff are fully-trained Designated Senior Leads in charge of Safeguarding and child protection (DSLs), and all other staff have received extensive training in safeguarding and child protection. We are a growing organisation and are always looking for exceptional childcare and educational professionals. Click to see current vacancies.